When Max Nagl signed a deal with the Sarholz KTM team, it was to contest the European rounds of the MXGP World Championship but it’s now been revealed he’ll make the trip to Argentina after all. Nagl’s fans setup a Facebook page to raise money for the German’s trip – Nagl at first wasn’t a fan of the idea but has decided he will go ahead and race the first MXGP round in Argentina. If the results are good throughout the season then Nagl might contest the rest of the oversea GP’s too but that is still to be decided. Max Nagl: “In the beginning of this year it was actually not planned to do the oversee GP’s. For the satellite team’s like Sarholz KTM Racing the costs are really high. But on the other hand it is really sad if you miss the first GP. So, a small Facebook community started to collect money to pay my costs going to Argentina. At the beginning I was not a fan about this idea and I wanted to stop it. But the reaction of my fans were amazing. In just a few days the half of the travel cost was already covered. So we keep it on and I believe with the support of all my fans I can race in Argentina! I’m so happy about it and I will do this race for all the people who helped me in this situation! Now I am working with the team and my mechanic on the perfect set up for the start. I am looking forward to the season. Thanks to my team and all the guys who support me”. Andre Sarholz: “At first it was not planned doing the oversea grand prix in Argentina with Max. But we knew that max has a large fan base in Germany and Europe. With this campaign he can go the Argentina and race for all his fans. At the moment Max, his mechanic and the complete team are building a good bike set up for the races. 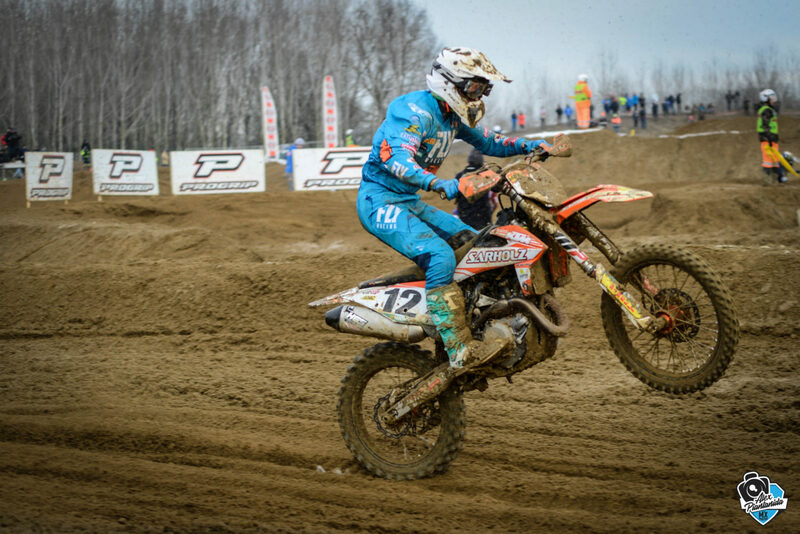 There are two pre-races in Mantova and Hawstone Park left before the main season starts. Thanks to all sponsors that make this possible”.